In the first week of September every year, thousands of Australians from all walks of life get together to recognise and celebrate the tireless efforts and commitment of volunteers who help protect and rehabilitate the natural environments of this great land we call home. If your Landcare group is running an event during Landcare Week 2018 – 3-9 September – please help us create awareness of the invaluable work being carried out across the nation. Be sure to promote your event across social media, including; Facebook, Instagram, Twitter and in your newsletters or personal blogs. Don’t forget to tag Landcare Australia so that we can also help get the word out about your event! 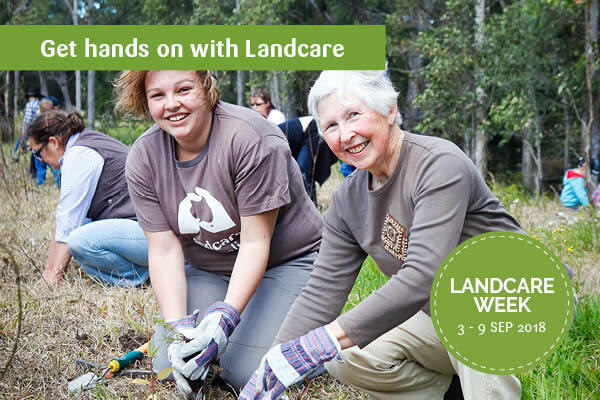 This year, Landcare Week is from 3-9 September – less than two months from now! Landcare Australia is holding a series of Landcare Week corporate team events in Brisbane, Sydney, Melbourne, Adelaide and Perth. Getting hands on with Landcare provides your employees with a valuable opportunity to celebrate Landcare Week by making a real difference to the natural environment. It’s also a great chance to network with other businesses and get to know your colleagues outside of the office environment. We’d love your business to be part of it. Registrations are now open for teams of five or more people, but spaces are limited, so get in quick! For more information and to register your company to participate, click the button below.